Film actor American born in Chicago, Illinois, on July 13, 1942. He began studies in philosophy and literature in place of birth, but he/she soon abandoned them, to move to Los Angeles. His father was Catholic and his Jewish mother, but both shared a vein acting in their lives, since his mother was actress in radio before turning to the children, and his father, an advertising Executive, also did some small performances on radio. In the city of Los Angeles, Mecca of vocational destinations in the performance, as well as many people who had done the same way, worked in various trades until they began to offer small roles for television. During this period he/she began his hobby by the carpentry, which was later to become the favorite entertainment of the actor. In those years he/she worked in television series such as the Virginian and Ironside, but his first appearance in film was in thief and lover (1966), Bernard Girard. Other small roles followed, including that of the film American Graffiti (1973), which laid the Foundation of his future fame working with George Lucas, who years later offered him a great opportunity. 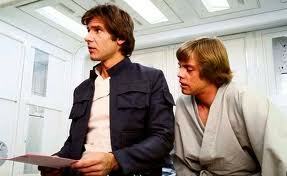 Indeed, Lucas suggested one of the roles of the Star Wars (1977) starring, one of the films which, due to various circumstances, marked several generations. In it he/she played Han Solo, owner and pilot of the "Millennium Falcon", interplanetary ship that faced the defenders of the Empire evil. Ford took that opportunity; He/She participated in the two sequels of the production (the Empire strikes back and return of the Jedi), and from that moment began his progressive ascension up to the top of Hollywood. The director Francis Ford Coppola, which had already worked in the conversation (1974), gave him a role (though not actor) in one of the most discussed in the second half of the 20th century movies: Apocalypse Now (1979). 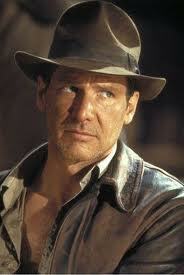 However, and even taking into account their role in the first trilogy of Lucas on the battles in the deep of galaxies, his true support came at the hands of Steven Spielberg, who offered him the role of the teacher and archaeologist Indiana Jones in another series of films that have become unforgettable, beginning with Raiders of the Lost Ark (1981). The adventurous Professor, with his usual hat and his whip, inspired by characters from the classic film, led him to the most absolute popularity, and aside from the sympathy with which the teacher was received by public opinion, Ford proved to be also an excellent actor, with a capacity to interpret diverse characters (though many viewers tend to identify themselves with it preferably when they see him play role of man of action). Perhaps that is why Ridley Scott suggested another memorable role in Blade Runner (1982), a film that has emerged as a classic of science fiction. There he/she represented Deckard, a Hunter police of Replicants in a world of the future that the English director was able to recreate with masterly hand. The film was destined to become a title of reference in modern cinema. Likewise, his appearances in the role of a CIA analyst, agent Jack Ryan, character who started playing Alec Baldwin (the hunt for Red October) were popular and who then entrusted to Ford, which began with a new saga (Patriots game, 1992; and imminent danger, 1994, both from Philip Noyce), based on the Tom Clancy books. Both works have achieved success at the box office and the favour of the public. Throughout his career, Ford has strived to intervene in works that demonstrate that he/she is a versatile actor. His appearances on weapons of woman (1988) or in the comedy drama regarding Henry (1991), both of Mike Nichols, were less successful, as they presented a type of protagonist that the public seems to be less used. Another comedy entitled six days and seven nights (1998), Ivan Reitman, this time with Anne Heche, had something more than welcomed, since the humorous tone of the tape has joined an action theme, vaguely inspired by the movie of John Huston of African Queen. 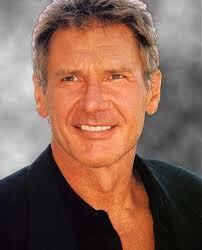 Harrison Ford is an actor who has an undeniable charisma. Although not has been awarded important prizes, career, for years, is a star. It has facility to connect with viewers and his physique has a special magnetism on the screen. Moreover, critics are in agreement to recognize you as a professional category. He/She is considered a player of quality, which also connects to a tradition of the movies of earlier decades. Similarities in addressing certain roles; have sought Thus, for example, with Humphrey Bogart, in those roles of disillusioned and somewhat cynical, but romantic at the bottom. On the other hand, a special discretion when making statements is credited with and in their behavior out of the screen. It was rumored that had a confrontation with Brad Pitt on the set of the shadow of the Devil (1996), but Ford has always denied it. The word scandal is something that bothers you and deeply disturbing. In his private life he/she retains the same custom and like to spend the longest time possible with his family on a ranch that has in the field. More than one report stresses that it is an intelligent and especially fascinating man for his way of being and behaving. In 2001 he/she separated from his wife Melissa Mathison to start a relationship with Calista Flockhart, popular actress in the television series Ally McBeal. On May 30, 2003 was installed star baptized with its name on the popular walk of Fame in Hollywood. Ford has aircraft pilot's license and owns several small planes and helicopters, in their ranch of 3.2 km2 in Jackson, Wyoming. He/She has assisted personally with their devices in emergency services to the community, is a leading figure in matters of ecology in the area, has participated actively supporting in the zero zone of the twin towers, and personally attended several acts of charity. Ford is one of the directors of the Conservation International Foundation, and they awarded the prize Jules Verne Spirit of Nature (spirit of the nature Jules Verne), for his work on the preservation of the planet. It has also given its support to societies of archaeology, giving lectures to prevent looting and fight against the illegal antiquities market. His latest blockbuster film is the continuation of the saga of Indiana Jones, called the Kingdom of the Crystal Skull, where returns to the role of Professor Jones, or Indy, with the addition that of a son, role in charge of the actor Shia La Beouf character appears for the first time. In 2010, he/she released extraordinary measures, which combines his role as an actor with the Executive producer. In 2011 he/she premiered Cowboys & Aliens, film directed by Jon Favreau and that coprotagoniza with Daniel Craig and Olivia Wilde. 1967: "The Moduc Kid" (episode of the Virginian); "The Past Is Prologue" (episode of Ironside). 1969: "The Hazing" (episode of My Friend Tony); "Love and the Former Marriage" (episode of Love, American Style). 1970: The Intruders.1971: "The Manufactured Man" (episode of Dan August).1972-73: "Sodbusters and Whelan completo Men" (episodes of Gunsmoke). 1974: "Cross-ties" (episode of Kung Fu); "Edge of Evil" (episode of Petrocelli). 1975: Judgement: The Court Martial of Lt William Calley.1976: dinastia.1977: The Possessed.1978: The Star Wars Holiday Special.1981: Great Movie Stunts: Raiders of the Lost Ark.1992-1993: the adventures of young Indiana Jones.1994: Mustang: The Hidden Kingdom (storyteller). 1997: "Oprah Celebrity Interview with Harrison Ford" (on The Oprah Winfrey Show). 1998: The Magic Hour 2004: Water to Wine.